To be honest, I am not a coffee drinker. I prefer hot chocolate or even Milo, but recently I am learning to drink more coffee. But it's not the expensive Starbucks coffee I'm after. Neither is it the cheaper OldTown white coffee. No, I am really trying to drink more brewed black coffee that has no added sugar or milk. Yes, just plain coffee beans + water. It's hard to drink because it's bitter but I think I am getting used to the bitter taste now. You see, coffee is beneficial to health ONLY if you drink it without adding in the sugar, milk and cream. Once you added those stuffs, your cup of coffee is a passport to weight gain, higher diabetes risk, and other health problems. Research shows that those who drink coffee have a 35% lower risk of suffering from Type 2 Diabetes Mellitus compared to those who don't. This could be due to the rich antioxidants in coffee that protects the cells from free radicals. Also, coffee contains magnesium and chromium, which improve the functions of insulin, the hormone that controls blood sugar. The caffeine in coffee improves alertness and enhance brain functions. Those who habitually drink coffee are less likely to develop Alzheimer's and Parkinson's diseases. Coffee is known to boost your body's metabolic rate which helps you to lose weight. Drinking a cup of coffee for breakfast will raise your metabolic rate and help you to burn your food intake throughout the day especially if combined with exercise. Coffee contains powerful antioxidants that can slow down the oxidation of bad LDL cholesterol, and prevent the formation of blood clots in the arteries. People who drink coffee have lower risk of strokes and heart problems. The caffeine in coffee has the ability to excite the sympathetic nerve and promote peristalsis movement in the digestive system thereby preventing constipation and improves digestion. Caffeine is a mild diuretic. It causes the kidneys to produce more urine which helps to flush out toxins from the body. This will also help to improve the condition of bloated stomach. Since coffee can improve mental alertness and promote a more cheerful frame of mind, it is helpful to relieve the symptoms of depression. In a way, coffee also acts as a stress reliever. Due to the high antioxidant content in coffee, regular drinkers have a lower risk of certain cancers, namely breast, colon, prostate and liver cancers. CAUTION : Before you start heading to the nearest Starbucks or your local coffee shop, let me tell you that coffee is NOT all "good"! Drink only in moderation. Caffeine is addictive. Anything that is addictive (like smoking) is never good. Quitting coffee can cause severe withdrawal symptoms like headaches, fatigues and depression. Too much caffeine can over-stimulate the central nervous system causing one to feel jittery and restless. It can also exhaust the adrenal glands, leading to less resistance to stress and more susceptible to diseases. Since coffee can trigger the secretion of stomach acids which improve digestion, over stimulation can instead lead to indigestion and heartburn. Pregnant ladies take note! Too much coffee can increase risk of miscarriage and even known to increase infertility. Excessive intake of coffee interferes with the absorption of nutrients and minerals by the bones, thus increasing the risk of osteoporosis. 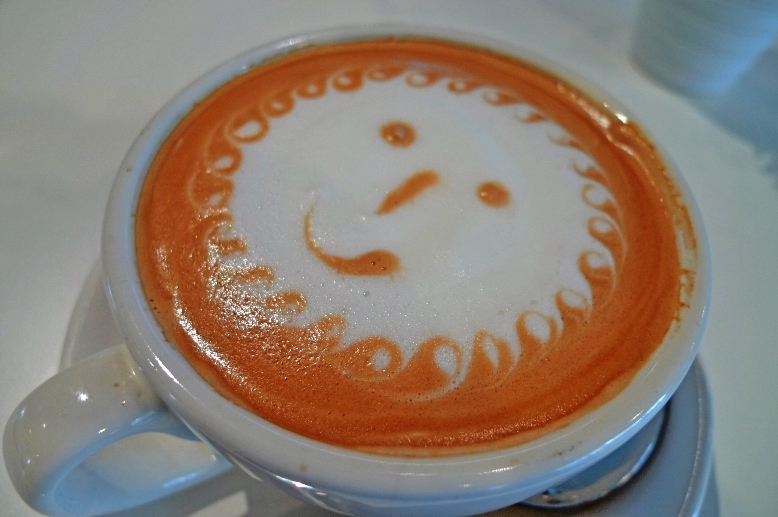 Coffee is a diuretic and over consumption of coffee therefore leads to dehydration. Dehydration can dry out the skin, causing wrinkles and making you look older than you actually are! Although coffee can increase your metabolic rate and burn more fat, it also stimulates the appetite and increases the craving for high calorie food. Too much coffee therefore will make you eat more and gain weight in the long run! TIPS : HOW TO DRINK COFFEE AND STILL LOSE WEIGHT! Drink only black coffee without sugar and milk. And definitely without cream! 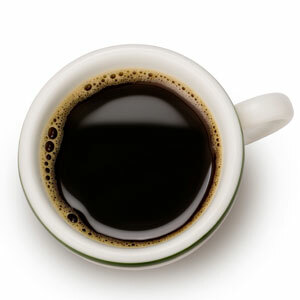 A cup of black coffee contains only 5-7 calories. A teaspoon of sugar will add about 23 calories which is still quite OK if you really cannot take the bitterness. But try drinking those lavish Starbucks coffee like their Caffe Mocha - it contains 360 calories! Or their Frappuccino Blended Coffee with whipped cream - that will set you back by a whopping 430 calories!